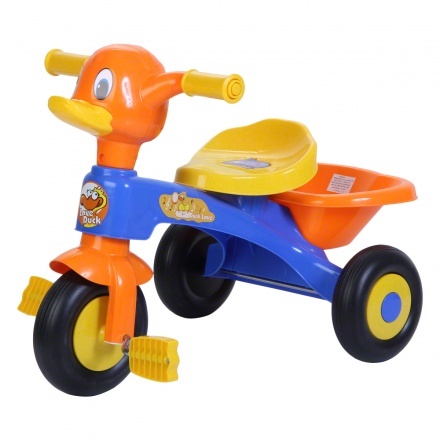 Juniors Tricycle | Multicolour | Built with a sturdy plastic frame. Let your little one discover the joy of riding with this tricycle. 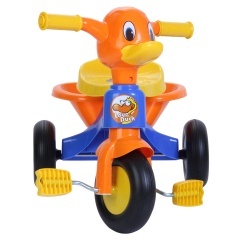 It features anti-slip pedals for a better grip. 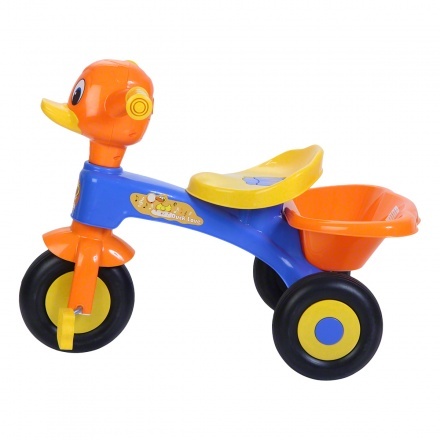 The soft contoured seat comes with a backrest for added comfort. It also has a basket at the back to store your kid's essentials. Feature 1 : Built with a sturdy plastic frame. 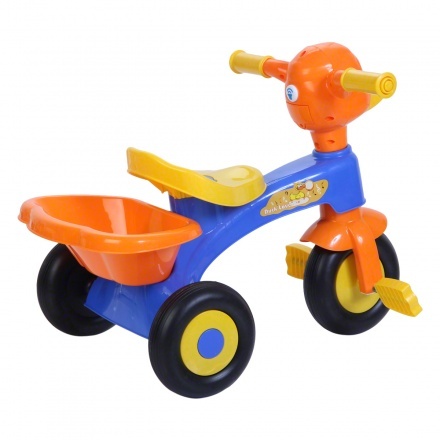 Feature 2 : Lightweight and easy to ride.